Change is only 50 minutes away! 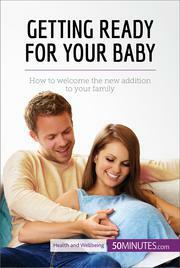 Find out everything you need to know about bringing a new baby home with this straightforward guide. Getting ready to go to the hospital; buying cribs, clothes and nappies; stocking up on groceries… Being pregnant can be a stressful time for a couple. So why not take your first steps into this exciting, scary new time as prepared as possible with this guide from 50Minutes.com? After all, you need all the help you can get!